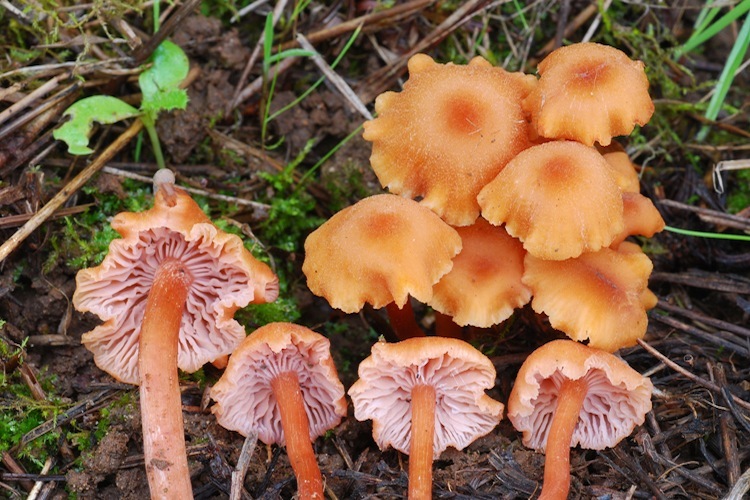 Laccaria is an important genus to learn to recognize - they are common, frequently misidentified, and play an important ecological role as mycorrhizal symbionts. 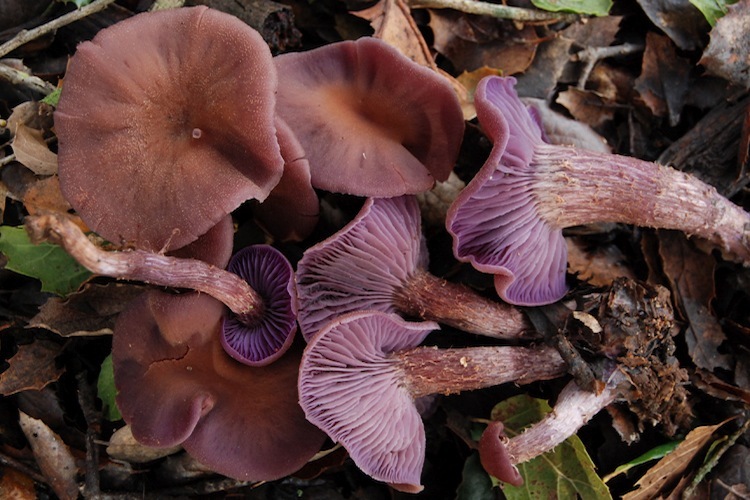 The widely spaced gills, pinkish to purple or orange tones of the fruitbodies (when fresh, at least), somewhat cartilaginous or tough-fibrous stipe, fleshy-fibrillose cap with small scales, absence of a veil, and white spore print helps to identify this genus. All are ectomycorrhizal, some species occurring with conifers, others with hardwoods. They are early colonists of young trees, and are so ubiquitous that they are often found as contaminants in 'sterile' labs where pines saplings are being grown. All are edible but not particularly popular, and are known to be efficient concentrators of toxic heavy metals. Only a few are found in our area, and most are readily identifiable. Important identification characters are: coloration, size and surface texture of the fruitbodies, and host tree associations.